According to MarketsandMarkets Research Report, the photovoltaics market is expected to be worth USD 345.59 billion by 2020 at a CAGR of 18.30 per cent. Photovoltaic (PV) systems are used to convert sunlight into electricity. They are safe, reliable, incur less operating costs, and are easy to install. The speed at which PV market is growing has introduced new challenges in the management of the electricity system. The enormous potential of solar PV and its various beneficial attributes is majorly driving the market for the same. Thus, PV is playing a vital role in the power or energy system. The PV market is likely to continue to register growth in the APAC region primarily in China and Japan. PV systems are helping in delivering clean, safe, affordable, and decentralised electricity to people. The photovoltaics market is expected to grow from Photovoltaics Market worth $345.59 Billion by 2020 USD 89.52 billion in 2013 to USD 345.59 billion by 2020 at a CAGR of 18.30 per cent between 2014 and 2020. The photovoltaic market is growing rapidly in many segments and applications due to various reasons such as their environmental friendly attributes, minimum maintenance, and cost saving. The major market players are investing heavily in PV technology. Furthermore, many governments are also providing various incentives and funding to this market. 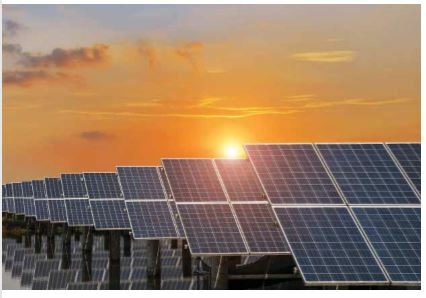 This report details the market trends, drivers, and challenges with respect to the global photovoltaics market and forecasts the market till 2020, based on components, types, applications, and geography. This global report provides a bird’s eye-view of the market across geographies –that is North America, Europe, Asia-Pacific, and RoW (Rest of the World). APAC holds the largest share in the photovoltaic market and has been identified as the fastest growing region with China and Japan occupying the major market share. Europe and North America are also considered to be promising markets, with Germany and the UK in Europe, and the US and Canada in North America providing an impetus to the growth of the same. The competitive landscape of the market presents valuable insights about the players in the photovoltaics market. The global photovoltaics market report profiles 12 promising players in the market and further explains their business overview, product portfolio, recent developments, and the key strategies adopted by the same. The market is witnessing numerous collaborations and partnership agreements across the value chain between tier-one companies.